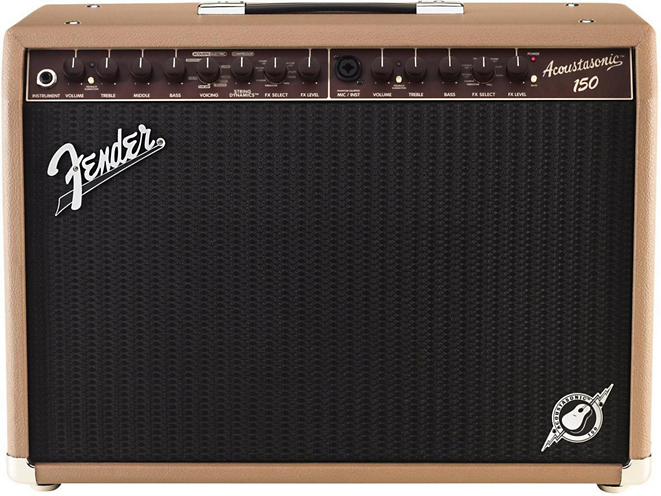 Fender’s Acoustasonic 150 Combo acoustic guitar amplifier has all the features you need to get through any gig in style. Plus, it includes several different acoustic Voicings, so you can get a variety of tones. 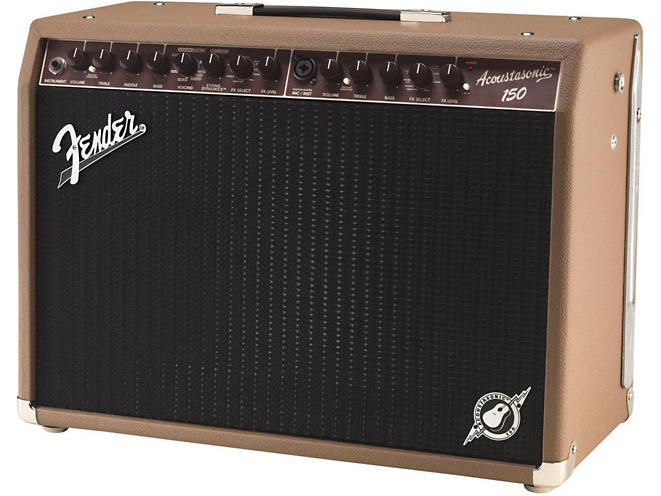 The Acoustasonic 150 Combo even includes electric amp sounds, so you can bring along your electric guitar and plug in! 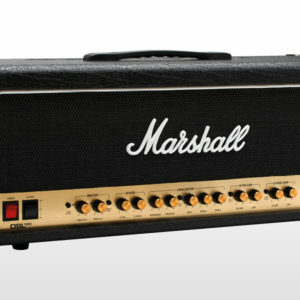 You can plug in both your instrument and a microphone, for an instant solo PA. Or, plug instruments into both channels. You get great-sounding effects, a balanced line-out, and even a USB connection (perfect for recording). Feeback-elimination controls keep the 150-watt Acoustasonic 150 sounding great even at higher levels. 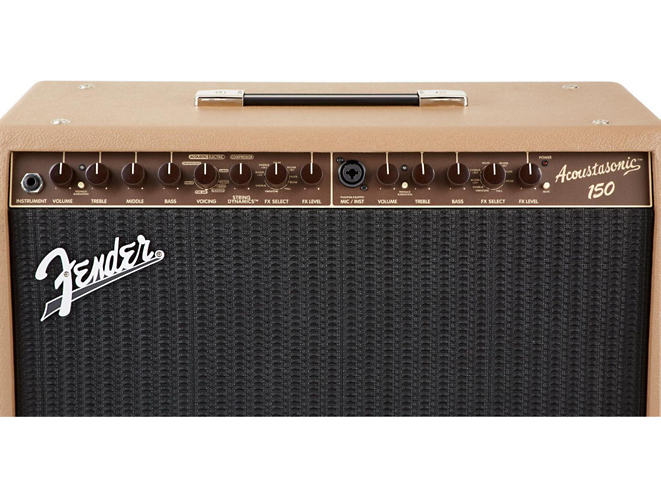 Fender’s Acoustasonic 150 Combo gives you 150 watts of powerful, clean performance, in a surprisingly lightweight (only 22.5 lb.) package. But that’s just scratching the surface. 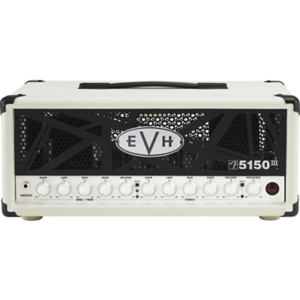 This feature-packed acoustic guitar amp lets you dial in your own tones or choose among dreadnought, jumbo, and parlor guitar characteristics. It’s like having a multiple acoustic guitar setup, with one instrument! You’ll also love the onboard effects (including chorus, delay, reverb, Vibrotone, and more) and super-handy feedback elimination. 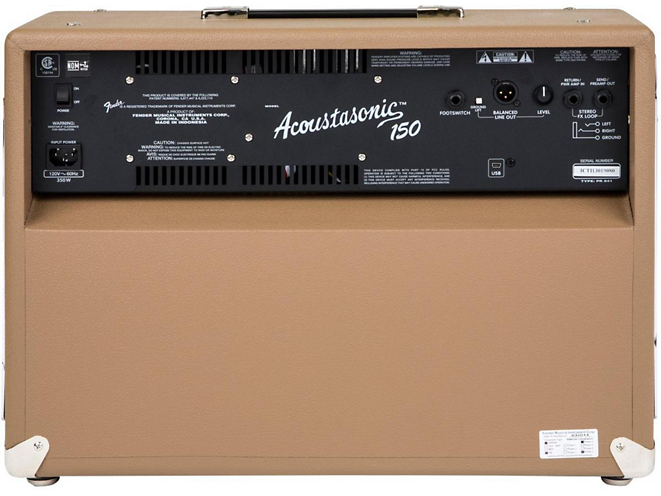 You don’t just get an array of stellar acoustic sounds out of the Acoustasonic 150. 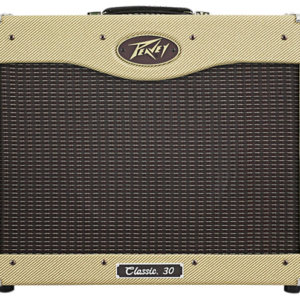 Fender also equipped it with great electric amp sounds, so you can bring along your electric guitar and sound fantastic. The Acoustasonic 150’s Blackface, tweed, and British amp Voicings make your electric axe sound as fantastic as your acoustic guitar does. 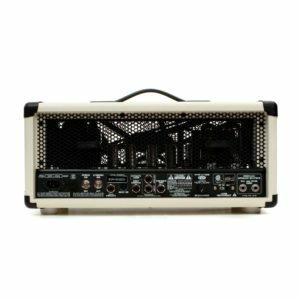 Plug both a guitar and a microphone into the Acoustasonic 150 amp and you have an instant solo PA. This 2-channel performer gives you independent control over each input, so you can balance your vocals and guitar (or balance two instruments) perfectly. Playing bigger stages? You’ll love the balanced XLR direct out, which lets you use the Acoustasonic 150 as a monitor while you pump your signal out to the house PA. An included USB connection even lets you record straight to your computer from the amp! 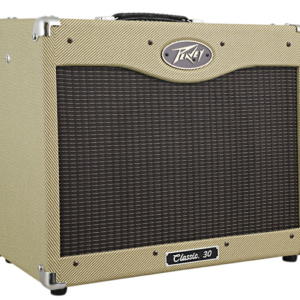 Fender’s Acoustasonic 150 packs an incredible array of features and sonic capabilities into a powerful and portable acoustic amp!